Many people come to our office seeking a divorce after having tried for years to fix an unsuccessful marriage. They feel bitterness and anger towards their spouse and the desire to make their spouse pay for those unsuccessful years of trying to make it work in vain. Others come in resigned and beaten from that same experience and just want to obtain the divorce quickly and walk away from the marriage, whatever the cost. Some come in invigorated by the thought of finally walking away from their unsuccessful marriage and going forth with their new life. Getting Divorced in Brevard County? Our experienced divorce attorneys represent men and women in Melbourne, Palm Bay, and Titusville and throughout Brevard county, including military personnel stationed in Florida. 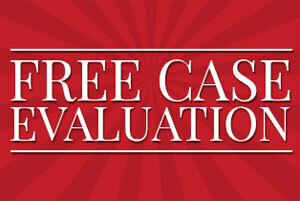 Call our caring divorce lawyers today at 321-951-3400 for a free confidential telephone consultation. We are here to help. Regardless of how you feel about your marriage, the first thing that you should ask yourself before stepping into a long and costly battle of divorce is whether it’s possible for you and your spouse to reach a reasonable agreement to resolve the issues of your divorce, or whether you must litigate these issues before a Court and let the Court decide. A divorce in which the parties agree in advance to a reasonable settlement agreement and simply want the attorneys to place that agreement into writing and have it adopted by the Court is what we call an uncontested divorce. A contested divorce is a divorce wherein the parties cannot agree on the issues and must present those issues to a Judge who will ultimately listen to evidence presented by each party and then decide the issues for the parties. An uncontested divorce (also called an uncontested dissolution of marriage) can occur if the parties can agree to all the terms of their divorce, which include any issues related to children and child support; the distribution of all real and personal property including the marital home, furniture and furnishings, cars, bank accounts, credit card accounts, investment accounts, and retirement assets; and any liabilities that exist such as mortgages or any other property issues. If the parties can come to a basic understanding of what they agree to, a qualified family law attorney should be able to prepare a Marital Settlement Agreement based on that agreement. While the attorney can only represent one party in the divorce proceeding and may not provide the other party legal advice or representation, the attorney’s role in an uncontested dissolution is to guide their client through the process, prepare all the documents necessary, and take you through the Final Hearing wherein a Judge will enter a Final Judgment which adopts the terms of your settlement agreement and dissolves your marriage. At Morgan & Barbary, your attorney will advise you as to whether or not the terms that you wish to agree to are in your best interest, and if there are alternative agreements that would be better for you — but ultimately, it is your decision to resolve your dissolution issues in an uncontested divorce. Our attorneys will meet with you for an initial consultation and explain the process and prepare you for meeting with your spouse and negotiating an agreement that is fair and equitable for you. If an agreement is reached, we will prepare the Marital Settlement Agreement which divides your assets and debts, a Parenting Plan if there are children involved, and all the other documents that must be signed and filed by the parties. If everyone is working to get the paperwork signed and completed quickly, we should be able to have your marriage dissolved in as little as 4 to 8 weeks from the date of retaining the firm’s services. Our goal is to always get you divorced as quickly as possible while protecting your rights and allowing you to move on with your life. An uncontested divorce is not always possible. Many times your spouse may simply want to fight over anything and everything or, even though alleging he or she wants to nicely dissolve the marriage, may continue to make unreasonable and unrealistic demands or stall the agreement for ulterior motives. This can occur because your spouse doesn’t want the divorce, wants to get more than their lawful entitlement, they don’t agree with what you are rightfully entitled to under Florida law, or they just want to be disagreeable. In this case, your only avenue is to file a contested divorce proceeding. Make no mistake, if you want a divorce, Florida is a no-fault state — it only takes one person to plead to the court that the marriage is irretrievably broken and request a divorce and the Court will ultimately enter the divorce. Unfortunately, a difficult or unreasonable spouse can cause needless costs, delay and pain in the process. A contested divorce (also called a contested Dissolution of Marriage) occurs when you and your spouse simply cannot communicate or agree on the terms of your divorce and a Judge must decide the issues. In a contested divorce, you and your attorney should discuss the various issues related to your divorce, and your attorney should be able to provide you with an assessment of what results you may reasonably expect from the Court and the anticipated costs and fees associated with a contested dissolution of marriage. The goal of this firm is to provide you with the most cost-effective approach to obtain what you want in your divorce. In a contested divorce, a Petition for Dissolution of Marriage is filed and served on your spouse to initiate the divorce. The Petition will outline the issues which the Court will need to address and advise the Court what you are seeking in your Dissolution of Marriage action. It will request the Court to address issues such as temporary living expenses, residential custody of children, child support, alimony, division of marital assets or the sale of the marital home, distribution of debt, and attorney’s fees. Once the Petition is personally served on your spouse by a process server, your spouse has 20 days to respond to the Petition. Typically your spouse will then hire an attorney and file both an Answer and Counter-Petition for Dissolution of Marriage wherein he or she outlines the issues they wish the Court to address. During the time that the Petition and Counter-Petition are being served and responses are being filed, both parties are required to produce financial disclosure which involves preparing a Financial Affidavit and producing complete financial information to the opposing party, which will include bank statements, credit card statements, investment account statements, retirement account statements, documents related to home loans or money owed, and any other document that deals with the assets or debts of the parties. It is a complex process, but your lawyer will guide you through it. At Morgan & Barbary, our goal is to have your case ready for trial in the earliest possible time frame. Once the pleadings are closed and the firm has filed your Financial Affidavit and compliance with financial disclosure, the firm will notice the case for trial. Generally, once you notice the case for trial, it takes between 6 and12 months for the case to get to trial. Between the time that your case is notice for trial and the trial date, the Court requires that the parties attend Mediation, and your attorney will attend this Mediation with you, if you so desire. While at Mediation you and your attorney will discuss the issues with your spouse and their attorney, if they have one, and attempt to come to an agreement on all, or some, of the issues. During the entire process your attorney should be working to either reach a reasonable settlement with the other party or attorney or be prepared to try your case to the Court. A case may be resolved by agreement and the parties divorced at any point between the filing of the Petition and the final trial. The goal of Morgan & Barbary is always to resolve your case as quickly as possible while obtaining the best result for you, whether that be by trial or settlement. At Morgan & Barbary we have skilled family law attorneys who will help you through this difficult time by properly advising you on how the law will apply to your facts, how to explore whether an uncontested agreement might be available to you, and if it’s not, how best to get your case to Court, protect your rights, and pursue your goals. We endeavor to make the process as stress-free as possible. Dissolution of marriage is never easy, studies show that next to the death of an immediate family member, divorce is the most stressful event in a person’s life, but our goal is to shoulder that burden with you and protect your rights to the last. Call Morgan & Barbary’s compassionate divorce attorneys today at 321-951-3400 for a FREE telephone consultation on your legal issues. We are here to help.